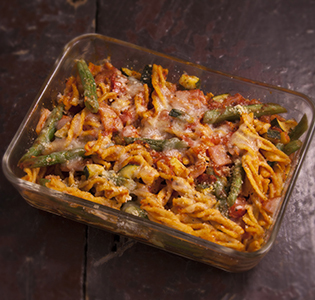 Great vegetables with a hint of bacon bring out both the color and taste in this fantastic recipe that you can bring to a party and pop in the oven upon arrival. 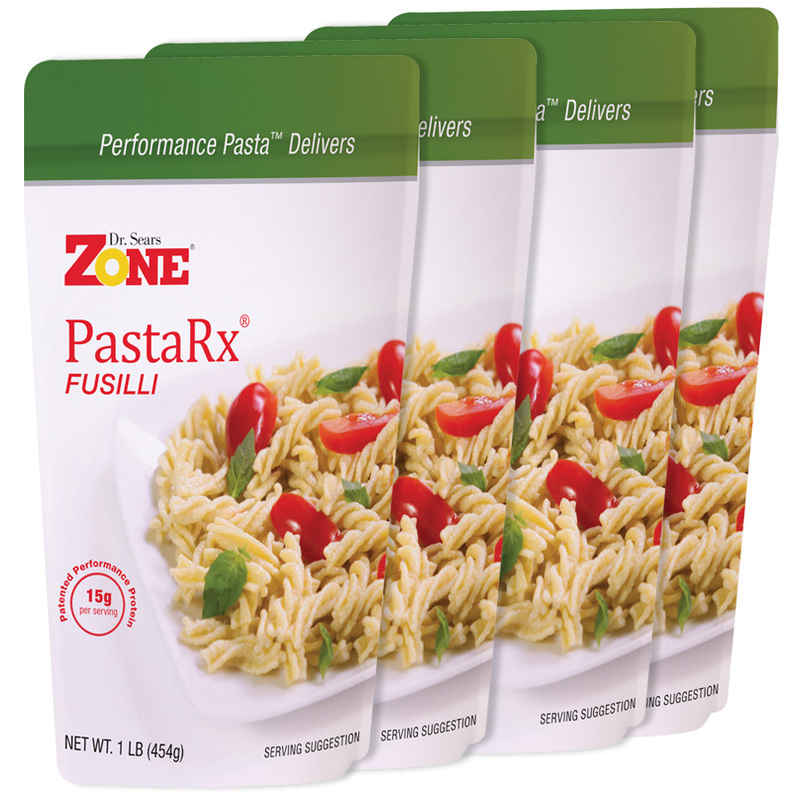 Prepare Zone PastaRx Fusilli according to package directions with zucchini and green beans. (Reduce cooking time by 5 minutes.) Drain. Stir in olive oil, diced tomatoes with juice, tomato sauce, 1-2 tablespoons of water, Italian seasoning, Canadian bacon, salt and pepper. Cover and simmer for 4 minutes. Transfer into small baking dish coated with cooking spray. Sprinkle with mozzarella and Parmesan cheeses. Cover and bake for 10 minutes or until bubbly.